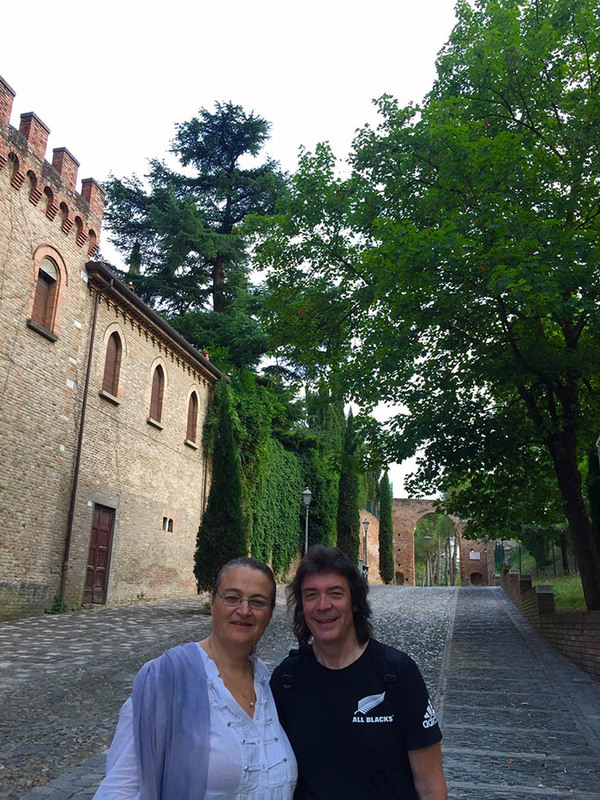 Jo and I spent a couple of relaxing and inspirational days in Cesena with our lovely pal Vania Santi after the Italian tour. Cesena is a picturesque old Italian town, nestled between sea and hills and within easy driving distance of Rimini, Ravenna and Bologna. 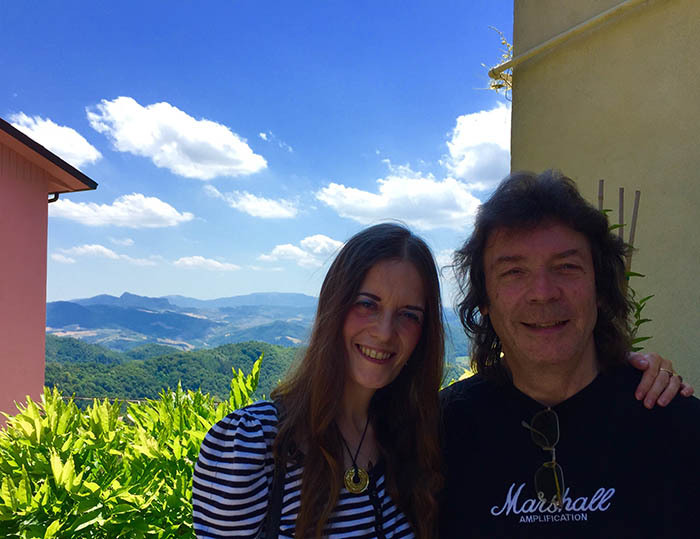 Vania showed us around the grounds of the impressive Medieval castle with extensive walls and high battlements, where I played around 2000. 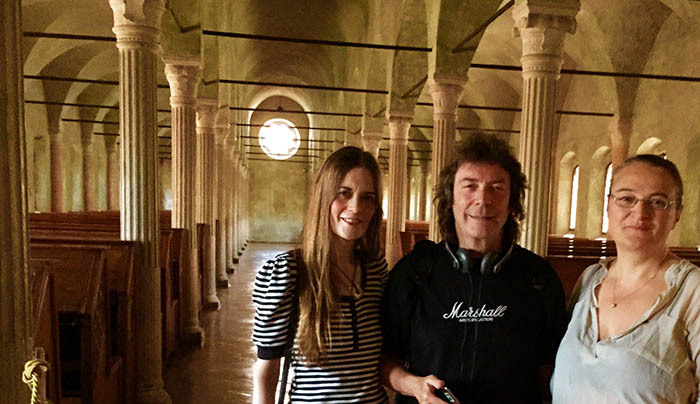 We then visited the Biblioteca Malatestiana which reputedly houses the oldest public library in the world, opened in the mid fifteenth century. The powerfully atmospheric building houses antique books dating back hundreds of years. In another part of the library were ancient musical manuscripts created by monks with early notation and intricate artwork in exceptionally vivid colours. Vania also drove us into the hills where her family roots are... telling us about the strong sense of community in the region as we drove up the slopes through narrow winding roads to the village and cemetery. The scenery was breathtaking from the hilltops... you could see rolling pastures and tree clad crags as well as the distant sea. 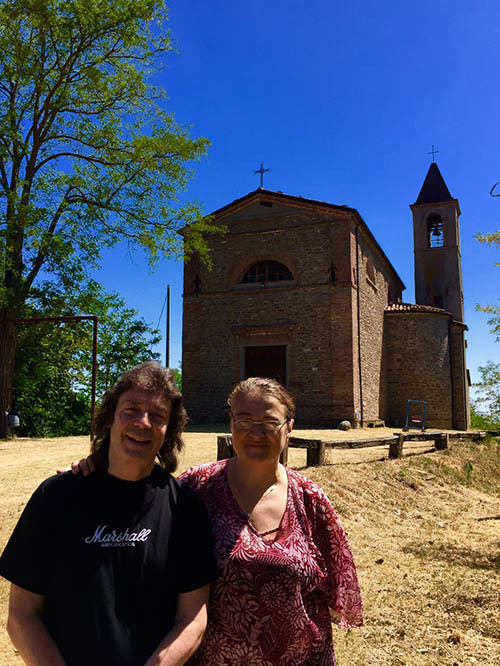 Before returning to Cesena we visited a sixth century church which houses marble pillars from Ephesus in Turkey and an altar from pagan times. 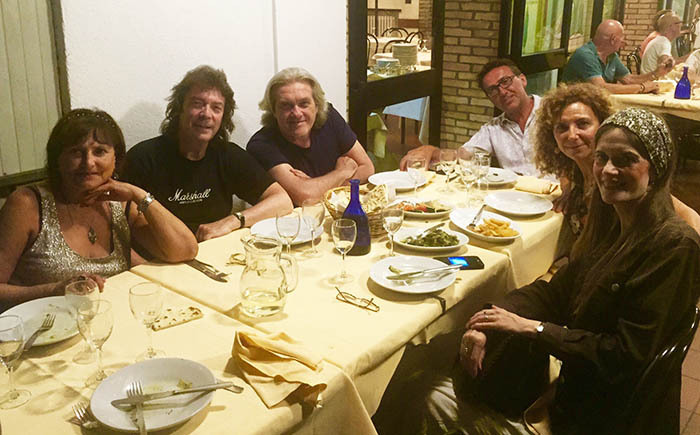 We also had two fabulous meals in the hills with several friends. Our special thanks to Vania, Sergio and Patty for such a wonderful time.